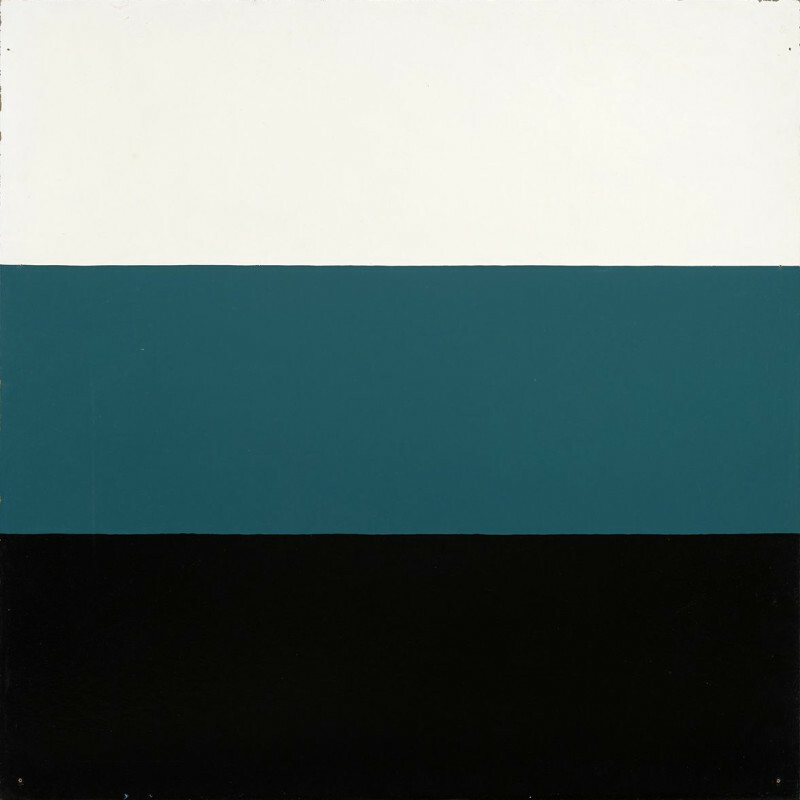 The exhibition features works made in the years between 1965 and 1967 from a series of geometric-abstract paintings that Gernes made extensively in the period. The circle, stripe and alphabet series are based on a set of rules or principles with varying colour combinations. Gernes used spectral and industrial colours based on a predefined system to eliminate personal involvement. The paintings within each series involve a certain reduction process, merely showing a number of possible constellations of the forms and colours applied. Oscillating between abstraction and ornamental design the panels were often conceived in relation to architecture. They allow for multiple ways of displaying, either as single pieces or in groups. It was Poul Gernes’ conviction that the simplest and most immediate expression always has the greatest social impact. Colours were meant to be clear and strong, but above all pleasant to the eye, and the forms that arose through the colour contrast should be clear signals or symbols with a maximum degree of recognisability. This was why he included circles, spirals, letters, etc., in his artistic vocabulary – as these are all forms which possess a strong visual appeal and are easy to read, even at a distance. According to Gernes clear shapes and colours could have life improving qualities. As evidence for this he pointed to historical examples in his interpretation of the social function of art, referring to the temples and public buildings of antiquity which were originally decorated in festive colours. Gernes embraced an anti-authoritarian attitude and did not consider his art as an individual style, but rather as part of a larger social whole. He constantly questioned and undermined traditional concepts of art, whether in the use of materials, the inclusion of everyday actions or by reflecting on industrial production processes and becoming actively involved in them as a designer. In 1961 he initiated The Experimental School of Art (Den eksperimenterende Kunstskolen 1962-1972), a radical art school designed to abolish the conventional role of the artist. The school had a great impact on the Danish art scene and later turned into a collective work place or an avant-garde movement working across genres, styles and art forms, including happenings and performances. It sought to break down boundaries dividing art, life, aesthetics and politics. Students (members) included Per Kirkeby and Peter Louis-Jensen. After the dissolution of the school in 1972 Gernes dedicated himself entirely to site-specific work, concentrating on the painting and interior decoration of public buildings, thus combining his design with his performative and theatrical experiments. Poul Gernes works are represented in major collections such as those of Museum Ludwig in Cologne and Louisiana Museum of Modern Art in Denmark. In 1988, Poul Gernes represented Denmark at the Venice Biennale. He did numerous decorative commissions in public and private institutions, including the interior of the entire Herlev Hospital (1968-1976).